Undoubtedly all the gopis, cowherd boys, cows and everyone else who served Krishna in Vrindavana with love and affection were liberated from the miserable condition of material existence. If one attains perfection in Deity worship, that is called Arcana Siddhi. Arcana Siddhi means simply by Deity worship one goes back to Godhead, immediately after this life. 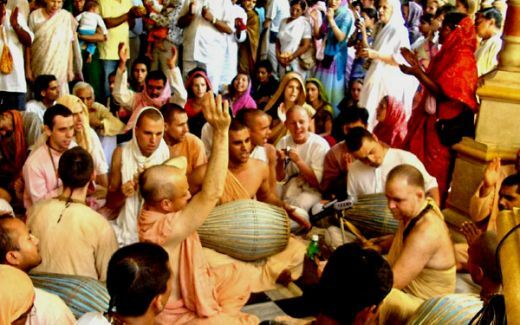 Please remember and I beseech you again and again, please remember, world wide ISKCON grassroots Nama Sankirtan revolution. Revolution means revolution. It means we have to shed pounds, and gallons and gallons of blood to get the job done. We have to turn this movement inside out, upside down whatever we have to do but we have to put Nama Sankirtan back into its rightful place of dignity in the forefront of our movement. It is absolutely essential and proper growth of our movement. Those who understood this, are awake in the need of the hour and those who haven’t understood this, are still sleeping. Please accept our humble obeisances. All glories to Srila Prabhupada! Filming the documentary project of BB Govinda Swami about Vrindavan we’ve became witness of Aindra Prabhu’s passing away. Please take also your last darshan of this great personality..
Last darshan of the great chanter of the holy names, Srila Aindra Prabhu. 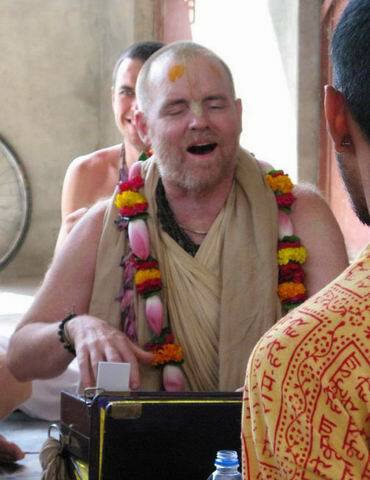 VRINDAVAN, INDIA – We just got sad news from Vrindavan that His Grace Aindra prabhu suddenly left his body in Vrindavan few hours back. There was an accidental gas leak in his room in Vrindavan. He was found by devotees looking for him to be paying his obeisances to his Deity and Salagramas. He was in samadhi in that position. 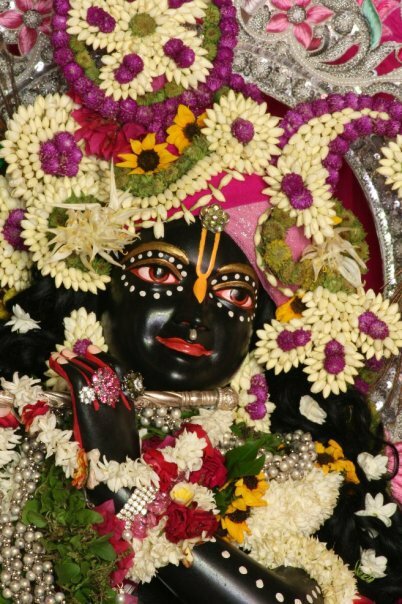 He was scheduled to do his regular dressing today morning of Sri Sri Radha Shyamsundar, Vrindavan. 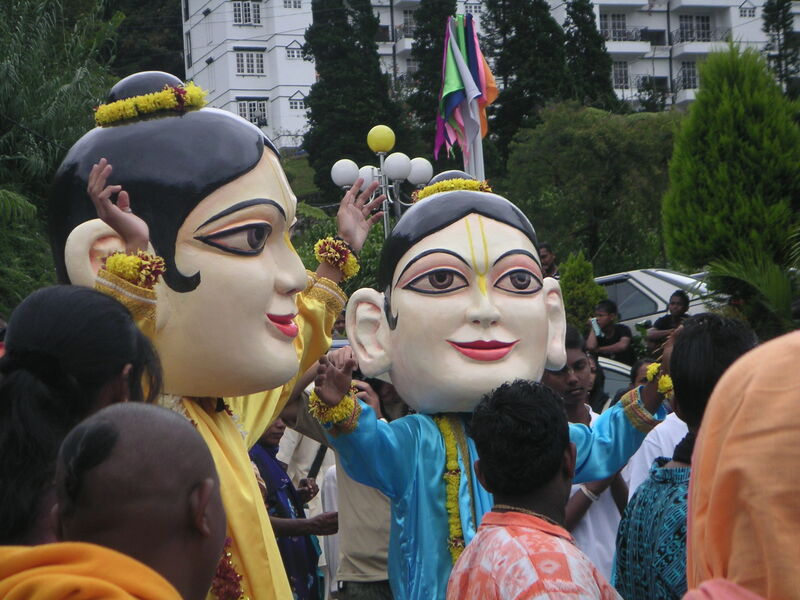 CAMERON HIGHLANDS, MALAYSIA – For the first time, a Ratha Yatra or Chariot Festival was held in Cameron Highlands. Malaysia’s largest and best-known hill resort, once the retreat of 19th century British settlers and today easily reached by road from Kuala Lumpur. Here, a mile above sea-level, stretch the cool rolling vistas of Malaysia’s green bowl, whose fruits and vegetables feed the nation’s cities. It has a charm of its own with its Tudor architecture style buildings, strawberry farms, vegetable markets, fresh flowers, tea plantation with its soothing greenery and breathtaking scenery.